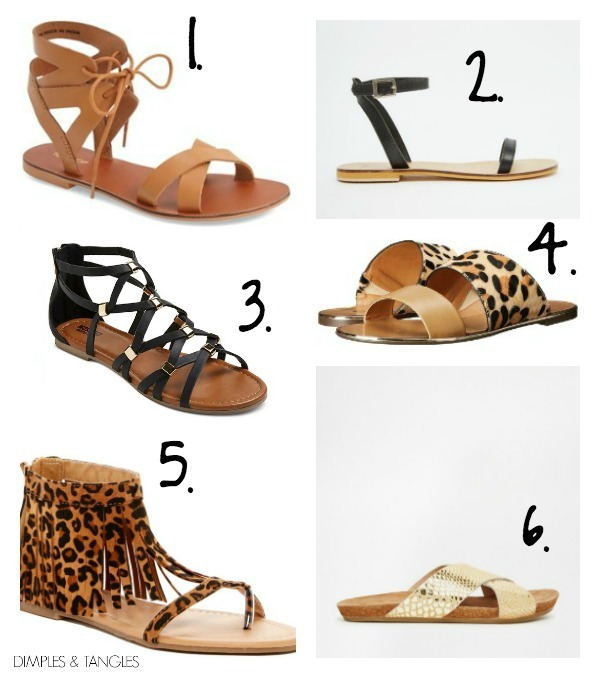 With Spring knocking on our door and Summer not too far behind, I'm in the market for some new sandals! Honestly, I get in a big rut on the days when I'm just around the house or running normal errands of throwing on the same pair of flip flops all the time in the summer. I'm determined to branch out and find some great, comfortable, every day sandals this year. Here are the top contenders that I've come across, some more practical and some more fun! I tried to choose selections priced at around $50 or less. My philosophy with sharing these fashion finds with you is that I don't feel right sharing high ticket items with you if it's not something my bargain-loving self would buy. Yes, I would have loved to include some darling Tory Burch or Michael Kors sandals with you, but I only catch some of those brands when they're on deep discount. So, these are all at a reasonable price point. Fringe and tassel accents, gladiator styles, and lace up shoes are all hot this season! In this first group I focused on fringe and tassel details. I'm loving all of the fun colors I found! 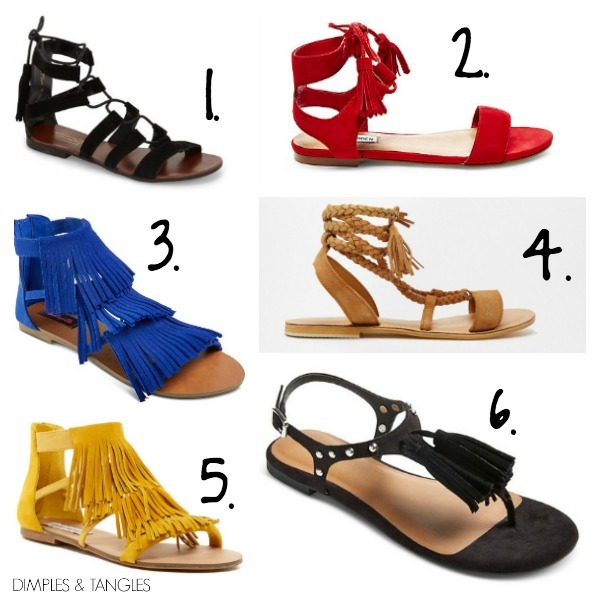 The blue and yellow fringe sandals look almost identical, but they are different brands and price points. 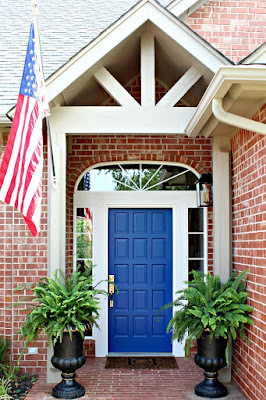 Most of these selections have other colors available in the same style, as well. How fun are those? Yes, they're detailed, cute, and a luxury designer brand, but I think I could come up with a pretty good knock off with the things in my craft closet and a hot glue gun! :) It's really not hard to embellish shoes, just like I did here. I would consider this next group good, comfortable, versatile all around every day sandals. Of course, there's a healthy dose of leopard, it IS a neutral after all! And, for the days I still want to throw on a pair of flip flops, these are a bit more stylish than my plain ol' Old Navy gold pair. Do you have a favorite? I'd love to know which one! 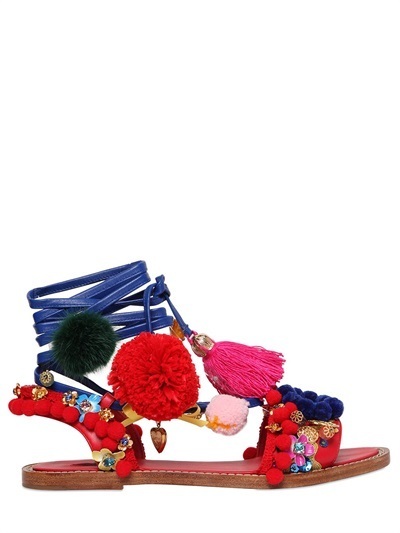 Oh, hey, I just picked up those $2400 sandals yesterday. Whaaa??? It's like a party for your foot--as it should be of that price :) Ha! I bought the #3 sandals from Target and they are amazing! So comfortable and cute. Those are actually on the top of my list this year, need to make my purchase! Glad to know they're comfy! 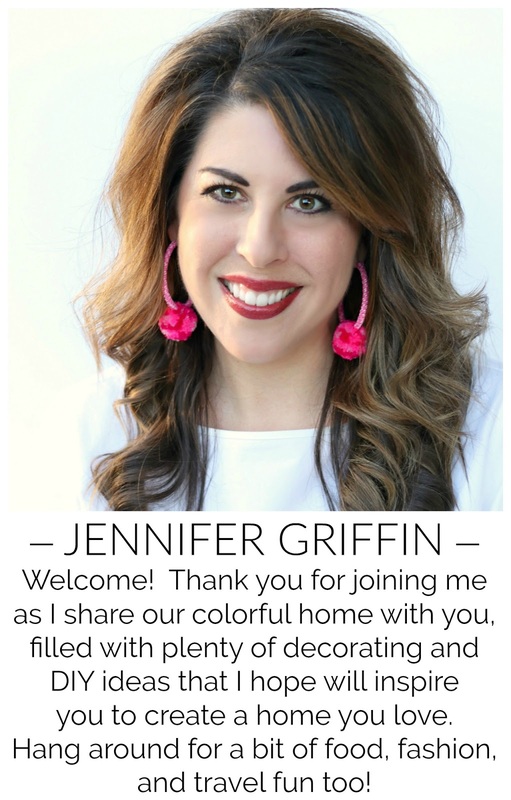 These are all fabulous finds Jennifer! I scored an affordable pair from Forever 21 recently! LOVE it when you get great looking shoes for a bargain! Yay! One of my favorites above is from Forever 21! I always check out their jewelry but forget about shoes. Need to correct that! So many absolutely darling styles and colors! I adore the red ones in the first group along with about 10 others. :) I can't wear the flat sandals though due to my back so the only ones I am *forced* to buy are the leopard. I love, love sandals!